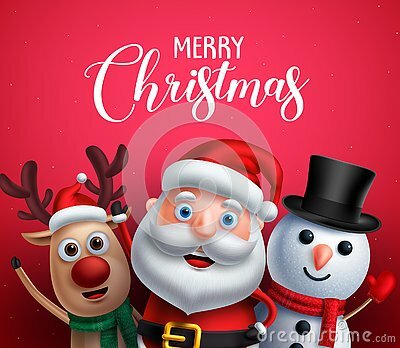 Merry christmas greeting text with santa claus, reindeer and snowman vector characters happy sing christmas carol in red background. Vector illustration. Santa Claus with kid in Christmas snow scene.